On March 23, 2012 Kacie Lynn Gonzalez was born a happy and healthy baby girl. By her first birthday she was thriving and reached all her developmental milestones as she explored the world around her. At two years of age Kacie’s future began to looking grim as her parents noticed changes in their daughter. Her developmental progress began to slow and she started showing signs of autism. She was non-verbal, had no imaginary play and was increasingly not interested in other children her age. She began to rock back and forth and flap her hands. When her environment became overwhelming, Kacie would injury herself by hitting and scratching her face and legs. Kacie was lost in her own world and was diagnosed with severe autism at three years old. In March of 2015, Kacie’s parents began using medical marijuana to treat her autism. Her self-injurious behaviors were becoming more frequent, and she was still non-verbal and becoming more socially withdrawn. Desperate to improve her quality of life, Kacie’s parents began researching specific strains of the cannabis hoping to treat her debilitating symptoms. 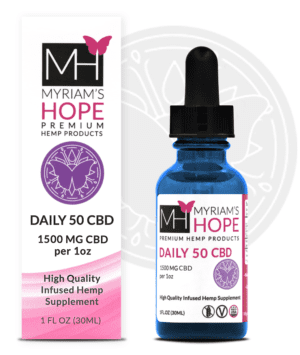 After months of experimenting with different strains and ratios, Kacie began using Myriam’s Hope oils. The results were immediate and astounding! In a matter of days she became calm, responsive and able to attend to specific tasks. She started using words/gestures to express her wants and needs and her imaginary play blossomed! Most importantly, Kacie no longer exhibited self-injurious behavior. She is happy, healthy and making huge gains daily. She now loves to play dress-up, have tea parties and dance around the house! 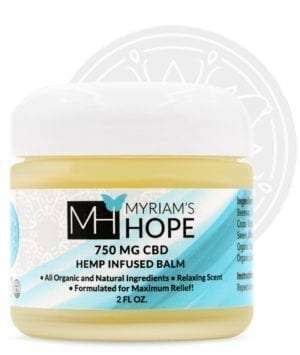 We look forward to Kacie’s continued growth and progress while using Myriam’s Hope oils.